You can reset your Class' Password to ensure students are not logging in to other accounts. The Class Login option is an easy way for younger students and/or classes with lower literacy levels to log in to the Makers Empire 3D app. The trade-off is that it is less secure than an Individual Login as every student could login to any other account from the same class. If you find your students are logging in to other student's accounts and using them inappropriately in any way, it is probably best to switch to Individual Login, and reset your Class Password. To reset the Class Password, find your class in Class Management > Classes. Click the drop down menu and select Class QR Code. At the very bottom of the QR Code page, you will see the instruction "Re-generate this QR Code here". 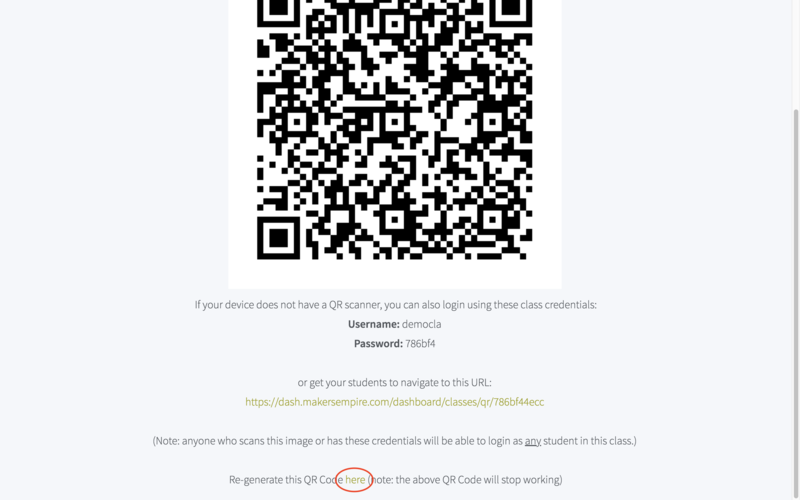 Simply click the word "here" and you will generate a new QR code, new Class Username and new Class Password. The old QR Code, old Class Username and Class Password will no longer work, so students will no longer be able to login to each others accounts using those credentials. 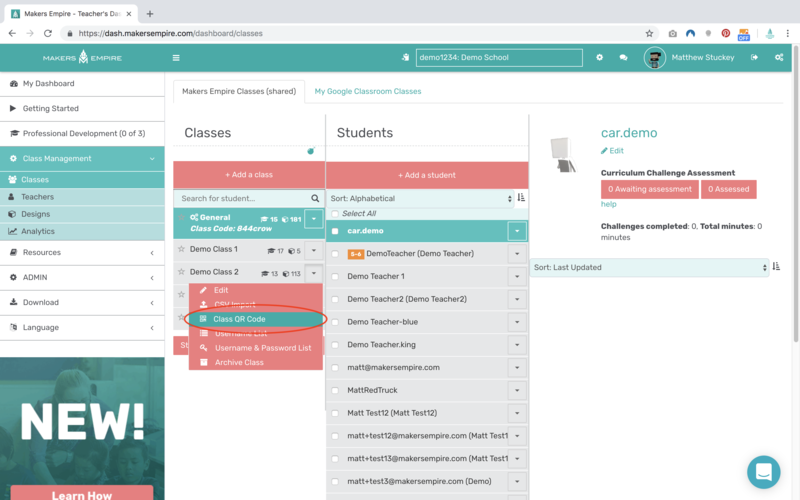 For more info on the various log in options, please refer to the Getting Started guide in the Teachers Dashboard.